Timo survived a year at the Weston Sanatorium being treated for tuberculosis when he was in high School. A fat smoking doctor told him he would have to lead a sedentary life as a result of his illness. In rebellion he turned to sports after his stay: hockey and running. 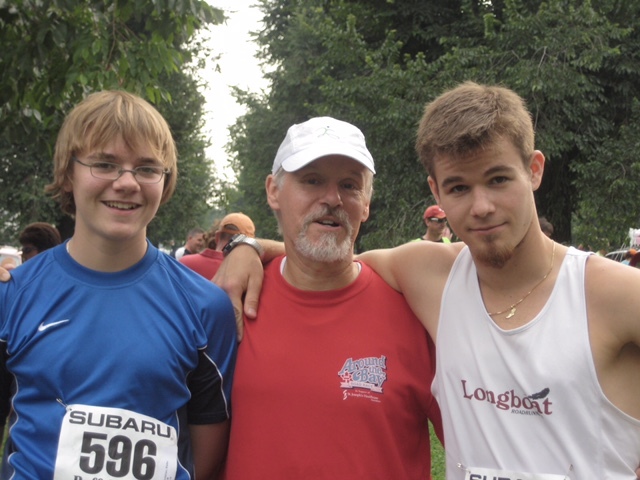 He took to running like a natural and benefited from the coaching of running legends Andy Higgins and Bill Crothers. 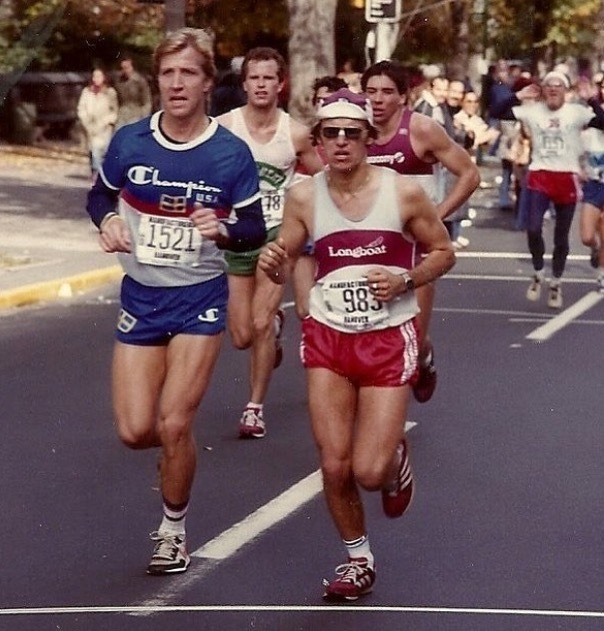 These times, mostly achieved before Longboat Roadrunners was formed, would have been enough to put him in our Hall of Fame, but it is his far-reaching influence as a coach that has made him one of the foundation stones of the club. He was a member of the University of Toronto Track Club in late 1980 when he joined a distance runners’ revolt to form a new club, ours. He was Longboat’s first head coach and his tenure lasted from 1981 to 1990. He is nationally certified, and his athletes, both Longboaters and others outside the club, have won medals at OFSAA, Canada Games, Ontario University Cross Country Championships. His athletes have represented Canada at World Cross Country Championships and Ekiden Relays. Other athletes have won Around the Bay, and marathons such as Toronto, Grandma’s, Prince Edward Island, Massey and Niagara Falls. In the late 1980’s he was in a children’s coaching programme that produced such champions as Dave Lorne and Terry Radchenko. He left Toronto for a time to go to North Bay where he started up the Cross Country programme at Nipissing University; when he returned to Toronto he initiated yet another university programme: Ryerson’s Cross Country and Track teams. Timo’s coaching influence extended to many Longboat coaches who appreciated the results achieved by his methods. These methods were largely based on the Arthur Lydiard model which stresses mileage and speedwork. The many club track records set in the 1980’s which still stand are a tribute to these methods. Now in the 2010’s Timo continues to guide athletes to personal bests and race victories.